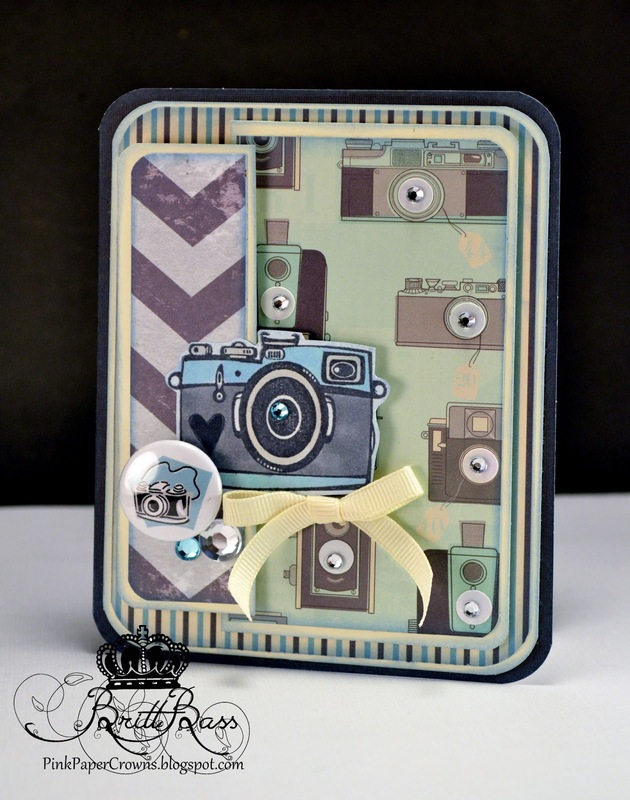 The Scrapbooking Queen: Guest Designer Britt Bass ~ We Just Click! 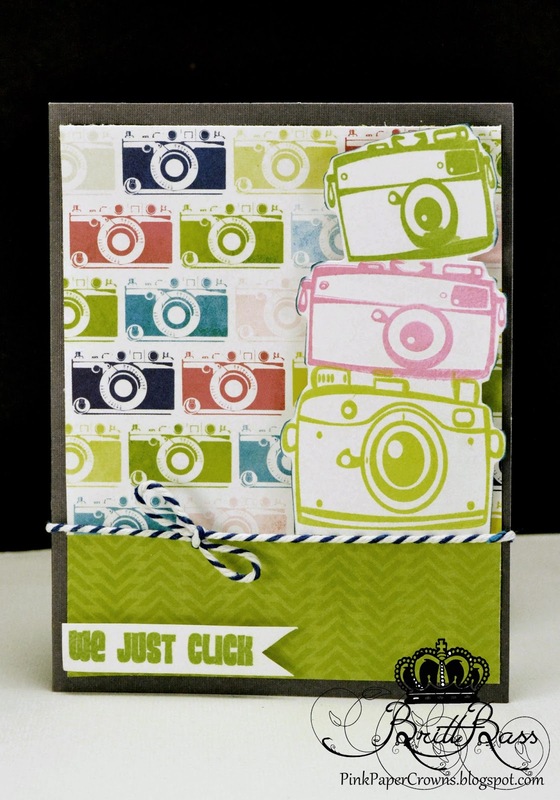 Guest Designer Britt Bass ~ We Just Click! some exciting things with you today!! 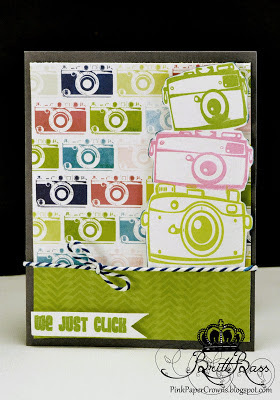 I have used some of my Royal Castle Stamp sets to create some cards for you using some other supplies from the Royal Castle Shoppe! without lots of weight or bulk. 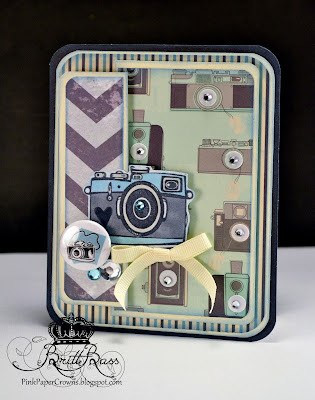 I paired it with a really cute camera paper from Echo Park! few of the camera images from the different sets. I'm a big fan of this citron green color! It is pretty popular right now and can be found in so many newer collections. Here, I used the camera paper from Here and Now by Echo Park which is available in The Royal Castle Shoppe in full size and 6x6! Thanks for taking a look! Don't hesitate to join in the fun with Theresa TSQ over on her facebook shop! Just ask for an invite and she'll add you to the group. 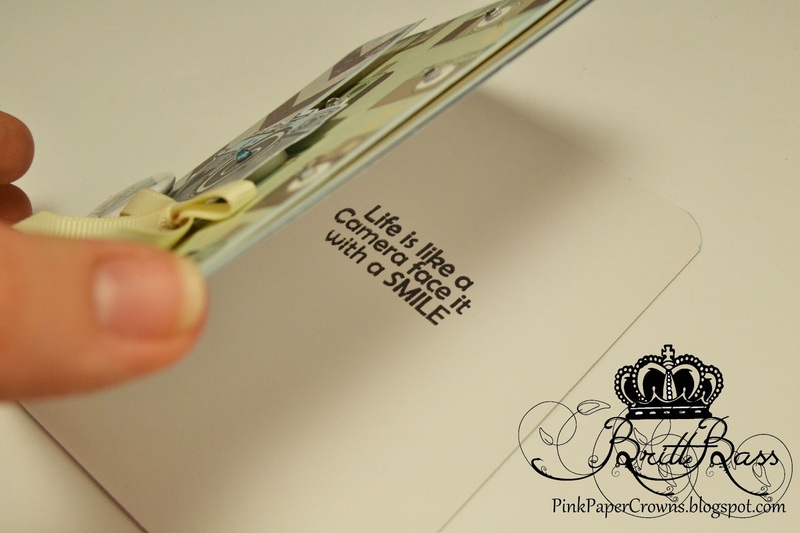 Love them both, great paper and colours!! Britt did such an awesome job!!! Love both of her cards using the Just Click stamps! The stamps and Britt are brilliant!